Probably the best-written RPG ever. It has dozens of interesting characters, quests, and factions. It has much more in common with the original games than 3. The introduction of the faction system is a way to expand on the core mechanics and allow the character to feel as though New Vegas were a real place and not a video game location. If it were not for the terrible quality of the production this would be a slam-dunk for best of its generation. As is, it is still a must-play for anyone. Admittedly I need to put more time into this but as it stands right now this is a completely solid game. I'm not a Fallout fan, I find the shooting wonky as hell and I hate VATS because I think it's not a feature, it's a band-aid (and not a good one). However, the story drew me in, the RPG mechanics are good, the world is interesting, quests are also interesting and fairly involved. I mean, you can take over a town right at the beginning. This is the first Fallout that I want to keep playing. Retains the wonky engine and the lousy combat mechanics of Fallout 3, although the new armor system does at least constitute a minor improvement. It's the non-combat gameplay where New Vegas really shines, treating players to a glorious range of choices, consequences, non-linear solutions, alternate paths, and more non-combat skills than you can shake a stick at. Old-school Fallout fans have called New Vegas "the true sequel to Fallout 1 and 2"; I'm inclined to agree with that assessment. The true Fallout experience: if you've never played a Fallout game, start here. Put on the Wild Wasteland perk at the start of the game, sit back, and enjoy. FO:NV combines post-apocalyptica with a genuine skill/perk system that produces a myriad of ways to play the game, and the DLC has some of the best writing I've seen in years. An absolute masterpiece. And once you've experienced the main game? Mod the hell out of it for a completely new experience. I recommend Project Nevada to start. This is 2001. This is Mad Men. I didn't even have accrued leave when this game came out but I took time off from my part time job. 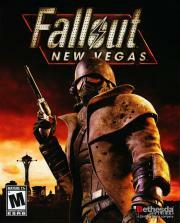 No other game has ever matched the experience that New Vegas delivers. True choice is present, it has true adventure and you feel genuinely free. Endless entertainment and my favourite game of all time. Yes man! Fallout with a western flavour which is an improvement in some parts.